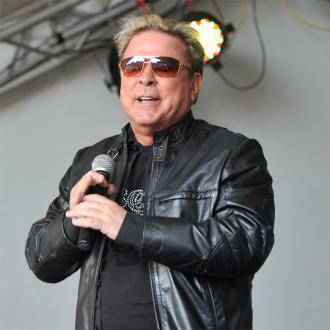 Dollar singer David Van Day is recovering after suffering a heart attack. The 59-year-old was rushed to hospital in Essex after suffering with chronic chest pain for three days, and underwent emergency surgery after tests revealed he had a blocked artery and was suffering from cardiac arrest. According to The Sun newspaper, the Mirror Mirror singer was taken to Queen’s Hospital in Romford, Essex, by his wife Sue Moxley before being moved to St Bartholomew’s Hospital in central London for treatment. The news outlet reports he underwent an emergency operation to have a stent put in and is now in a stable condition. Talking to The Sun, wife Sue blamed David’s medical issues on his unhealthy lifestyle. “He’s not an alcoholic, but he admits he drinks a bit too much and eats more red meat than he should," she admitted. David made his name as a popstar in the ‘80s, first as a vocalist in pop band Guys ‘n’ Dolls, before shooting to fame as one half of the band Dollar alongside partner and former lover Thereza Bazar. During the highs and lows of his pop career Van Day claims to have blown £100,000 on cocaine, and after declaring himself bankrupt was reduced to selling burgers from a van. He has since tried to revive his career with a stint on show I’m A Celebrity… Get Me Out of Here! in 2008, and performances at private gigs across the country. His illness comes a week after another ‘80s icon, Dead or Alive singer Pete Burns, passed away after suffering a massive cardiac arrest at the age of 57.